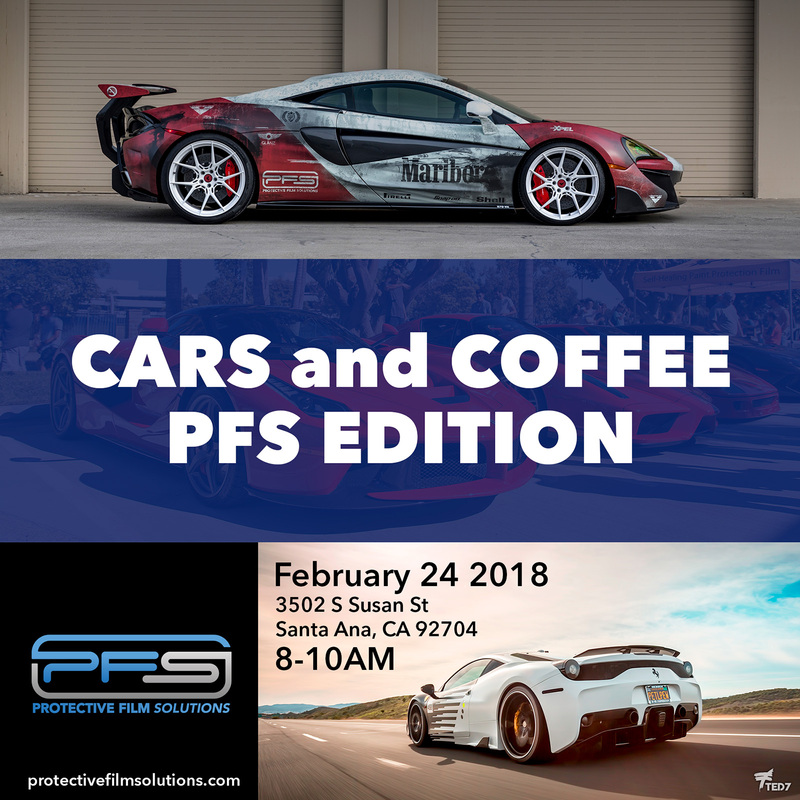 This is Cars and Coffee PFS Edition. This event will follow the traditional format for Cars and Coffee. The first event was back in January 2018 and it was a total success. 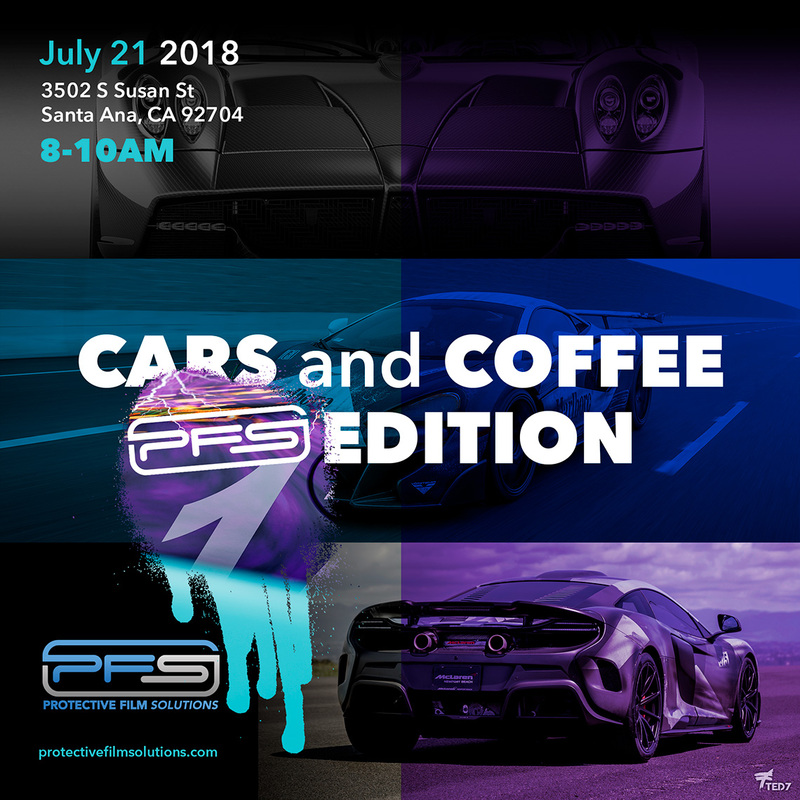 We are updating this post with the information for the newest Cars and Coffee PFS Edition, Saturday July 21, 2018 from 8 to 10am. See the flyer below and share it to social media! This will be relaxed, kid-friendly event, on Saturday mornings. The first meet is going to be on Saturday, February 24, 2018 at 8:00am. The location will be our shop in Santa Ana, California. 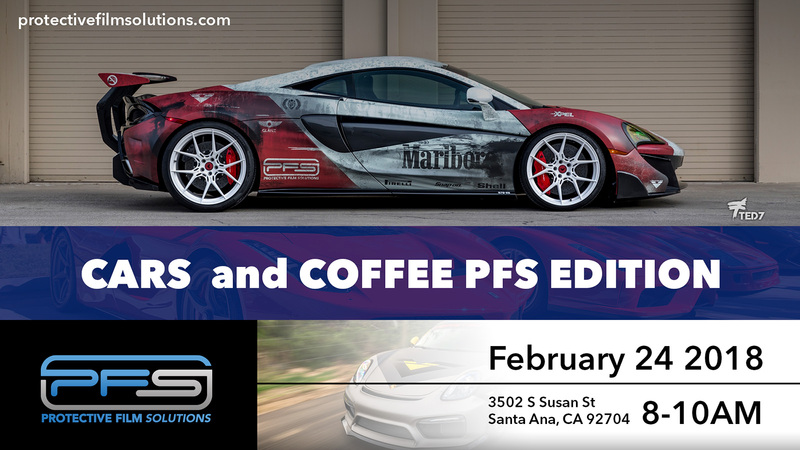 As mentioned above, the format will be the traditional Cars and Coffee formula – Early Saturday morning, show what you’ve brought, drink coffee, talk with friends and enjoy a good time. Due to the fact that we expect a lot of super cars and some hyper cars, there will be a designated area in front of the shop specifically for these cars. As you may understand, we want those cars front and center. It will only make the event more fun. There is plenty of area for parking and displaying your car all around the shop grounds and street, so feel free to polish up your best ride and bring her out. Everyone’s welcome. As with any Cars and Coffee event, please be in your best behavior. We’re here to enjoy the cars and the exciting atmosphere surrounding the scene. …But without the drama and while keeping our footprint small. If you wish to let us know you are coming you can mark yourself as going on the official Facebook event page for this show. There are only few spots left for the supercar-hypercar designated area, contact us if you would like a spot. Watch this space for an update with photos after the event. If you’d like to share this event on social media you can use the flyer at the top, or use the image below for Instagram. Be sure to tag @protectivefilmsolutions.